China could set a new pace for slow-moving international climate talks, by bringing its domestic commitment to fight global warming on to the world stage, the EU’s top climate change official said on Wednesday. 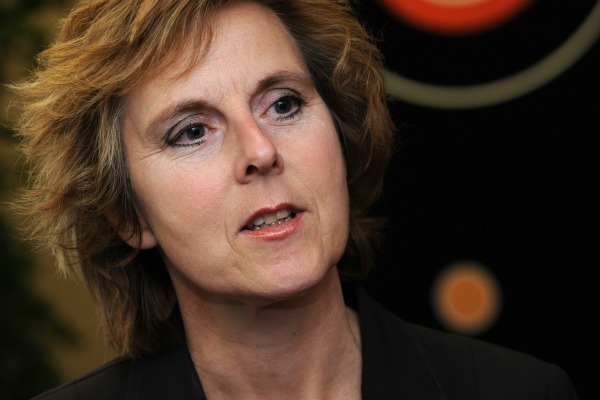 EU Climate Change Commissioner Connie Hedegaard is visiting China this week, for two-way talks ahead of a June UN meeting in Bonn, where negotiators from more than 190 nations will continue efforts to agree a new international climate treaty. Hedegaard said she was impressed by the action China, the world’s Greenhouse gas-producing nation, is taking to cut climate-changing emissions, but urged Beijing to take the same approach in U.N. talks. “I would hope that this domestic strong focus can be translated into a strong position internationally, because that would be a game changer in the international talks,” Hedegaard told Reuters in an interview. By 2020, China has pledged to cut its greenhouse gas emissions per unit of GDP by 40 to 45 percent from 2005 levels. In efforts to meet the target, it has launched six domestic carbon trading markets and ploughed billions of dollars into renewable and nuclear energy, and energy efficiency projects. But Beijing is reluctant to make its ambitions internationally binding. Other major emitters, including the United States, Japan and Canada, say they will not accept binding targets unless China does so. Last month, China demanded that all developed nations immediately raise their emission targets far above current levels, “without any conditionality”, in a paper submitted to the UN climate change secretariat. Nations must step up efforts to cut greenhouse gas emissions, or risk ever more heatwaves, floods, droughts and rising sea levels, hundreds of scientists in the UN Intergovernmental Panel on Climate Change said this month. Negotiators have given themselves until a meeting in Paris in December 2015 to agree a new global treaty, but talks have been troubled by a sharp divide between rich and poor nations for over a decade. “It is an open question whether the world is ready to sign up to something that is adequate in Paris next year,” Hedegaard said, adding that she was concerned about the inability of overcoming differences between rich and poor nations. “That will not bring the world as far as we need to go,” she said. Developing nations say rich countries have the main responsibility to cut emissions, because they caused the climate change crisis by industrialising well over a century ago, and have no right to deny the poor the living standards they enjoy. Developed countries say poor nations must bear some of the burden of reducing emissions, because the global total would keep rising despite emissions-cutting measures by rich nations, due to rapid and often fossil-fuelled growth in major economies such as China, India, Brazil and South Africa. The package was widely received as a compromise reflecting the balance of power between various member states at the European Council. It will now be discussed by MEPs at the European Parliament and EU heads of state at the European Council before a final version is agreed. PWR is not a charitable business. However, what follows is relevant to EU (non)emission reductions and Chinese emission (in)action. In addition non-EU diplomats in Brussels often complain to PWR that the EU tends to have a “holier than thou” attitude to emissions reductions. They find this irritating. I disagree, I find it a mix of lies and hypocrisy for the following reasons. (& China – don’t get too excited at this point – trust me – you won’t like what follows – but for different reasons). March 2010: Study: Carnegie Institution for Science (Dept of Global Ecology): 33% CO2 emissions associated with consumption of goods and services in developed countries are emitted outside their borders, e.g. Switzerland, “outsourced” 50%+ of CO2 to “developing countries”. USA 2.5 tons per capita of CO2 are accounted for “somewhere else”. EU: figure exceeds 4 tons per capita. 25% of the emissions produced in China are exported as goods. June 2013: US National Academy of Science: report – consumer goods produced and consumed in China (coastal region) are manufactured in the west of China and use energy from old and inefficient coal-fired power stations. Global emissions are high & continue to grow because we (EU & USA & China) consume stuff made in countries/regions that until recently did little or nothing with respect to emissions reductions. Countries like China want the EU to keep consuming “stuff” because otherwise the “mandate of heaven” (current holder Chinese Communist Party) might be up for grabs. China talks about the EU (amongst others) “immediately raising emissions targets far above current levels” – hey that’s easy – we cut imports from China – still keen on this idea? At the Copenhagen COP one proposal put forward (& rejected) was “contract and converge” – this is the only way in which global emissions will be addressed. At the moment it is rarely mentioned but is the only equitable way forward.